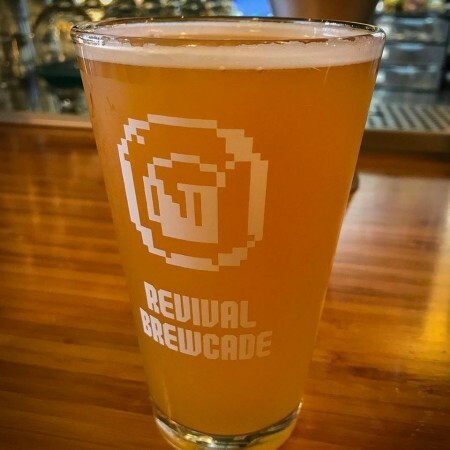 CALGARY, AB – After six months of having its house beers brewed elsewhere under contract, Revival Brewcade will soon be pouring beers brewed onsite. Located in Calgary’s Inglewood neighbourhood, the arcade and taproom was opened last July by Jamie Archibald and James Dobbin, and has been serving contract-brewed versions of Archibald’s beers while waiting for a manufacturers license, which arrived last week. As recently reported by CBC News, even though the contracted brewery is also located in Calgary, the beer had to be shipped to the province’s only alcohol distribution centre in St. Albert and back to Calgary – a 600 km round-trip – before it could be delivered to Revival. Now, the beer will have a much shorter trip to the bar, just up a flight of stairs from the 4.5 barrel brewing system in the basement. According to Dobbin, Revival’s first house-brewed beer should be on tap by February 10th. For more details, see the Revival Brewcade website and Facebook page.